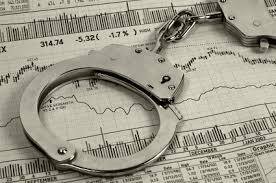 The Securities and Exchange Commission announced today that Noah L. Myers of Lyme, Connecticut and the former owner of MiddleCove Capital, LLC, an investment adviser formerly registered with the SEC, was sentenced to 40 months in prison followed by three years of supervised release following his conviction on one count of securities fraud. On October, 20, 2014, Myers waived his right to indictment and pleaded guilty to one count of security fraud. On January 16, 2013, the SEC accepted offers of settlement from Myers and MiddleCove and instituted a cease-and-desist order against them. The SEC order found that from approximately October 2008 to February 2011, Myers engaged in fraudulent trade allocation – “cherry-picking” – at MiddleCove. Myers executed his cherry-picking scheme by unfairly allocating trades that had appreciated in value during the course of the day to his personal and business accounts and allocating trades that had depreciated in value during the day to the accounts of his advisory clients. Myers did this by purchasing securities in an omnibus account and delaying allocation of the purchases until later in the day (and sometimes the next day), after he saw whether the securities appreciated in value. When a security appreciated in value on the day of purchase, Myers would often sell the security and disproportionately allocate the purchase and the realized day-trading profit to his own accounts or to accounts benefiting himself or his family members. In contrast, for securities that did not appreciate on the day of purchase, Myers would disproportionately allocate these purchases to his clients’ accounts and his clients would hold the position for more than one day. 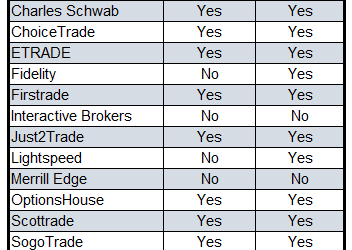 Myers carried out his cherry-picking scheme with regard to several securities, but was most active with an inverse and leveraged exchange traded fund (ETF). Myers finally ceased these practices in February 2011 when one of his employees threatened to contact the Commission. The SEC’s January 16, 2014 order found that Myers and MiddleCove willfully violated Section 10(b) of the Securities Exchange Act of 1934 and Rule 10b-5 thereunder and Sections 206(1), 206(2) and 207 of the Investment Advisers Act of 1940. The SEC order revoked the registration of MiddleCove as an investment adviser, barred Myers from the securities industry, and ordered Myers and Middlecove to pay disgorgement of $462,022, prejudgment interest of $26,096, and a civil money penalty of $300,000. Brokerdealer.com blog update courtesy of extracted opinion piece published Dec 22 by Pensions & Investments Magazine and submitted by Andrew Stoltmann, a partner at Chicago-based Stoltmann Law Offices PC, who represents investors in securities litigation and FINRA arbitration claims. “..The Securities and Exchange Commission is unfortunately pursuing a fundamentally flawed strategy to police the capital markets and protect investors. 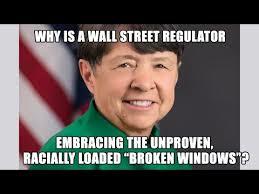 Last year, SEC Chairwoman Mary Jo White disclosed she intends on pursuing a “broken windows” strategy for securities enforcement. The SEC intends on prosecuting even minor violations of the federal securities laws in order to prevent wrongdoers from engaging in even more egregious conduct. The theory is that when a window is broken and someone fixes it, it is a sign that disorder will not be tolerated. When a broken window is not fixed, it is a signal that no one cares, and so breaking more windows, and more serious crime, will follow. This approach is the one taken in the 1990s by New York City’s then-Mayor Rudy Giuliani and Police Commissioner Bill Bratton back when Ms. White was the U.S. attorney for the Southern District of New York, which includes Manhattan.